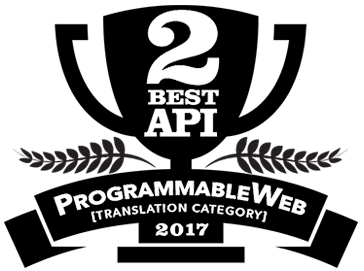 In 2018, the best Translation Memory software for translators is going to be one that simplifies the user experience while using powerful technology in the background to improve translation production. Over the past decade, the translation industry has experienced the advancement of machine translation technology, but there has been a lack of emphasis placed upon improving the user experience within translation software. Pairaphrase, originally founded by Language Arts & Science, was developed by industry veterans who wanted to solve the world’s translation challenges by creating the best Translation Memory software for translators. And this meant that there needed to be an overhaul of the traditional Translation Memory software interface that translators had become acquainted with. Continue reading to learn why Pairaphrase is the best Translation Memory software for translators, and why you should consider making the switch. Pairaphrase is the best Translation Memory system for translators because the cost-reducing features acknowledge that speed is an important factor in your job as a professional translator. When you market your services to a new client, you can include messaging about how you use time-saving technology and that those cost savings are passed on to them. Your clients love efficiency, so you should, too! When you use Pairaphrase, you benefit from the 50% work time reduction that most users report after using the software. Features such as Translation Memory, automatic file formatting, voice-over output and batch translation for 24 different file types make it possible for you to grow your revenue by offering new services like video voice-overs and formatting of documents while drastically reducing the time spent on translation production. When you choose Pairaphrase as your Translation Memory software, you spend significantly less time on translation production. This means you can win more project bids because you are able to get the job done faster and at a lower cost. You can pass on some of the savings to your clients and keep some for yourself. Spend less time on your translations and grow your revenue. Another reason why Pairaphrase is the best Translation Memory software is because we take all of the clutter out of the interface and keep it running in the background. A minimalist interface doesn’t make a Translation Memory platform any less powerful. It makes it smarter. We’re putting the computer to work in the background so that you can focus on your job–translation. Translation takes mental energy and the last thing you need is unnecessary distractions, even if they’re subconscious. While you may be used to seeing confusing toolbars in translation software, a lack of these doesn’t equate to you losing power and control. Our product is different in this way from other Translation Memory tools such as Memsource. They are fantastic products, but we’re here to revolutionize translation to improve the way you approach your translation work. With Pairaphrase, you take back your power by focusing your energy on the creativity and memory jogging that’s required of your profession, further helping your productivity. When you choose Pairaphrase, you protect your clients’ sensitive data. All Pairaphrase accounts come with two-step authentication, encrypted file storage and the application scrubs itself clean of translations in addition to running translations over a secure connection (SSL). What’s more, Pairaphrase is compliant with SOX, HIPAA and PCI regulations. Most Translation Memory software systems can’t tout these benefits, but when you choose Pairaphrase, you can. It provides you with an additional selling point for your services and gives you a competitive edge when compared with other translation professionals. In an age of frequent cybersecurity threats, Pairaphrase’s high standard for security will help you take advantage of professional machine translation and cloud computing. 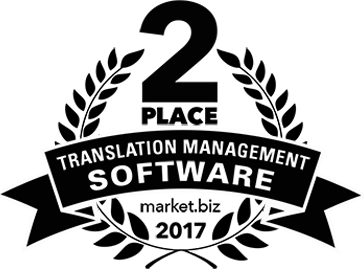 Want to learn more about our web-based Translation Memory software? Request a free demo today or browse our plans.